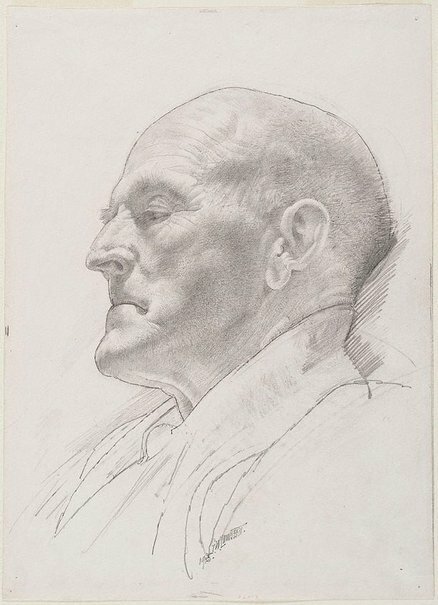 Drawing was central to George Lambert's art - he remarked that "My one idea ... was to be a good painter. To become a good painter, I had to become a good draughtsman, so I became a good draughtsman ...". 'Light horse veteran' is a frank and moving portrayal of a respected elder that powerfully captures both the personality of the subject while revealing Lambert's sympathy for him. The Gallery has a significant collection of drawings by George Lambert, numbering fifty works in all. Signed and dated lower c. [diagonal], pencil "G.W.LAMBERT./ 1925". Anne Gray, Art on view , 'George W Lambert retrospective: heroes & icons', pg. 6-15, Canberra, Winter 2007, 14 (illus.). Art is ... making, creating and appreciating 2 , Milton, 1999, 43 (illus. ).